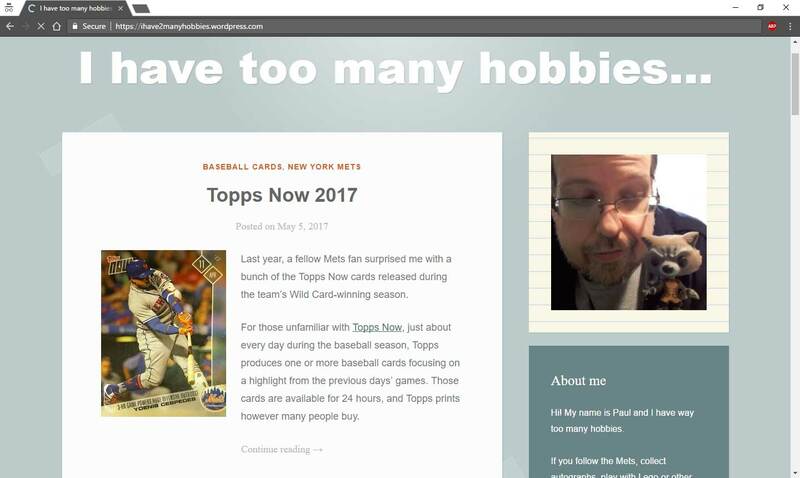 More and more my blog is becoming just a Personal Collection update more than the baseball card diary I've written for over three years. 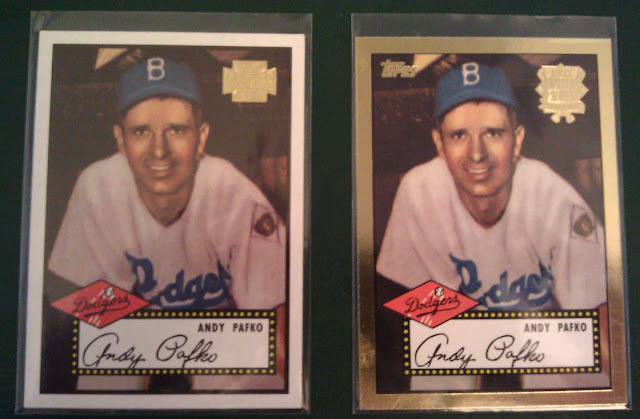 With that in mind here are some new additions to my Andy Pafko collection. The first three cards I received in trades, the forth from eBay, and the fifth...well, the fifth has become one of my favorite Andy Pafko cards in my collection and is the perfect place holder until I actually get my hands on a 1952 Topps #1. This Andy Pafko from the 1989 Swell set came to me from Baseball Dad of All Tribe Baseball...Although this seems like a so-so card I've only seen it on eBay a couple of times and was ecstatic when BD let me know he had a copy. Here's the reverse with "Boyceville, WI" listed prominently. 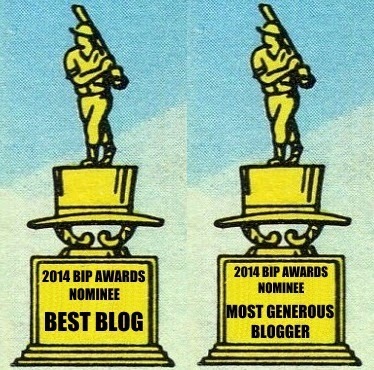 I received these next two from reader and writer for A Pack To Be Named Later, jacobmrley. 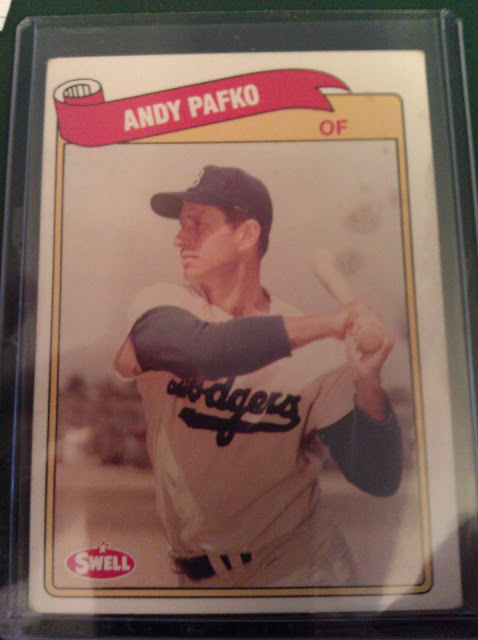 Pafko's 1952 Topps card is one of the most re-printed out there and I've got a long way to go to get all the different variations. 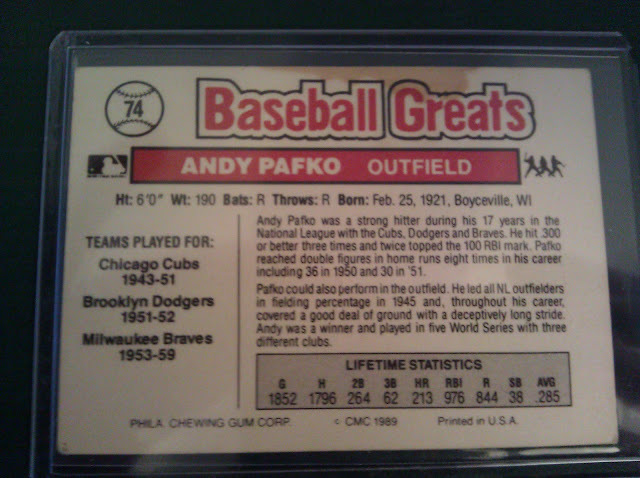 Next, we have a Pafko stamp that is about half the size of a normal card. 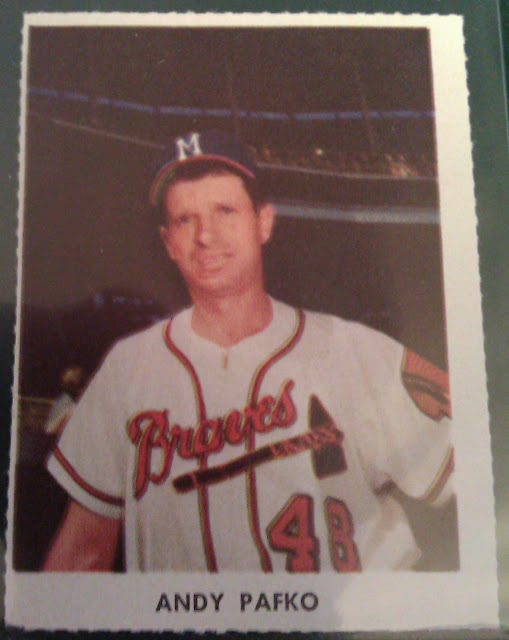 It is from the 1955 Gold Stamp set and has no printing on the reverse side. This was $2.00 on eBay. 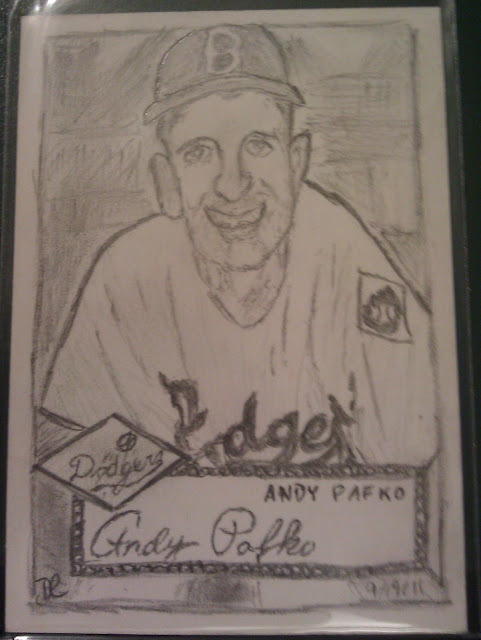 And last but not least we have my first Andy Pafko sketch card from non-other than the Cardboard Junkie. 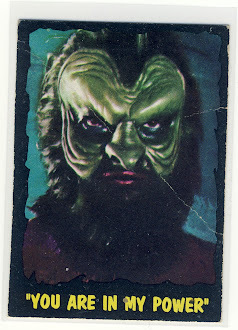 You may have seen this card highlighted on his blog HERE, and he guessed correctly, I was holding this card back for this post. I love this card and it's almost as good as the other Andy Pafko gift he's ever sent me. Thanks Dayf!